Owing money to any entity is really no fun. I doubt anyone in their right frame of mind has said that they truly enjoy owing money. I’m not talking about the act of borrowing and receiving because that portion of the transaction doesn’t feel too bad at all. 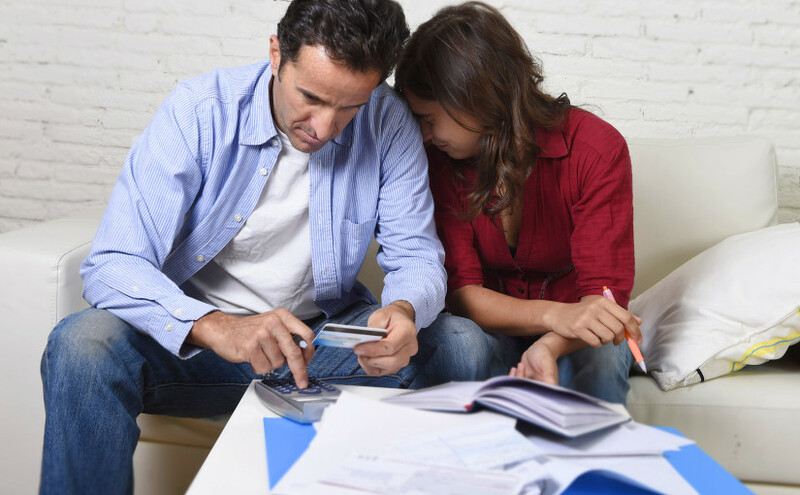 We borrow each time our credit cards are charged and we borrow larger sums for longer periods of time so that we can work toward home ownership. I’m talking about the burden of being beholden to someone or something. The other day I paid for lunch for a co-worker using my credit card with the agreement that he’d pay me back. I didn’t have change when he was paying me back in cash, but he insisted on paying me immediately. This transaction then resulted in me owing him two dollars. As I thought about this for a while I realized that he didn’t want to owe me, and I didn’t want to owe him. Have you felt like this before? Why is it that neither one of us wanted to owe the other? How about when the postal carrier delivers a bundle of mail? When I see a pile of mail, I feel weighted down due to the high probability that there is at least one bill in there, regardless of my ability to pay it. Medical, taxes, insurance, phones, vehicles, home, credit card, organizations, utilities, etc. Owing something gives me the feeling of an imbalance, a weight, a negativity, as though that person or entity has a piece of me; and I’ll go so far as to say that it almost feels as though I’m enslaved, or owned by something else because what I have is not my own. What about a debt we cannot pay back? Financial debt can bring depression, strain relationships, and increase stress which can lead to health problems. Having great debt may even lead us to further debt because we feel crippled and hopeless, we cannot focus on the things that can get us out of debt, like our job or finding a job. Depressed yet? Now please think about how it feels to pay the money back. While it might not be fun to consider parting with money, it does feel good to eliminate a debt. It is a release of a burden, it is restoration of ownership, it is a balancing of the scale. It brings back the equality in the relationship. As we continue to read in the Bible we learn about the debt that is encountered through sin, thus God requiring payment. Today’s reading of Leviticus 4 had multiple examples where God required payment (animal sacrifices) even for unintentional sin. With regard to the massive amount of money you owe us, we are pleased to inform you that your debt has been paid in full by someone else; a great benefactor, so please stop sending us payments. Further, if you have any further debt, or friends or family with debt, kindly let them know that they may transfer that debt to our bank and our benefactor will pay off their debt as well. This offer is valid in all fifty states, all countries, for any and all past, present, and future debt you may incur. We do ask that you seek to refrain from further borrowing. However, if you feel you have a borrowing problem, we have a personal guide who can be with you at all times, free of charge to help you out. Please remember that we have been in existence forever, and unlike any other bank, regardless of anyone’s perception of our business model, we will exist forever. We are open 24 x 7 x 365 and there is never a wait to speak with us. We delight in you. Please come to us with any need, no matter how great or small. I’m certain that if this actually happened, news of this bank would spread like crazy. Everyone would bank there. In reality, no bank would do this, but God does this through Jesus on the cross. When Jesus offered his body and blood as a sacrifice, he paid off all of our sinful debt, past, present, and future – and it is impossible to pay him back. Instead, our response can and should be pure, humble gratitude, repentance, praise, and falling to his feet as Lord. Would you consider sharing the Good News of our great banker and benefactor with a friend today?